Fall in love! A Beautiful Mikado Box Pleat Ball Gown with Beaded Illusion Square Cut Back from Justin Alexander. 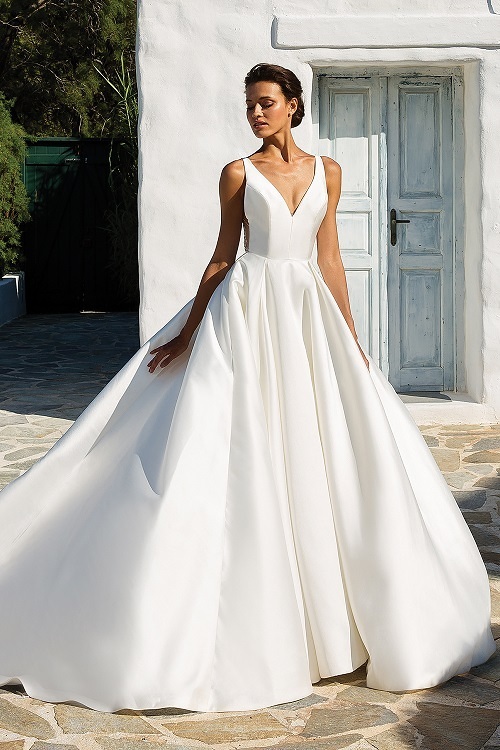 The illusion back is not all this beautiful gown features – A full length train with buttons cascading from top to bottom gives it a sophisticated edge!